The 27.1 kilome­tres long track – named Orange Line - will be built at the cost of $1.27 billio­n. Senate panel asks environmental activists to come up with recommendations. Pak-EPA’s approval hinges on fulfilling 26 conditions. Please rembere there is also a city Named Karachi in Pakistan, and according to statistical data the biggest city of the country, and I believe after Metro Bus in Lahore, Karachi deserves this Metro Train More. I hope you should think that. Pakistan is made up four provinces not just Lahore. Is this a donation from Chinese or our tax payer’s money. Meanwhile people of Central, Far North and South Punjab can only chant Lahore Zindabad. Industrial Cities like Sialkot, Gujrat, Gujranwala are already neglected. Moreover Faisalabad the city that generates more Revenue than any other city of Punjab dont have a single Mass transit system. Other than Lahore no city in Punjab have a Mechanized Waste Management and Even Textile complex is being established in Lahore right now. Whatever anybody says,I cant wait to travel on this metro train..waiting for it..build this project fast..SS doing great job..
Shahbaz Sharif cannot sign on behalf of Government of Pakistan cuz he’s a province’s leader. The agreement must be between Government of Punjab and China……….. Most of the budget of Punjab is being spent on the uplift of Lahore. In the long run it is going to cause the feeling of “Takhte Lahore” and people will be justified to ask for the division of province in smaller units. @Yousaf It is the Provincial project not a Federal government project. So it is better to ask the same question to Mr Qaim Ali Shah who is running the Sindh Government. After the 18th amendment Sindh Per Capita share is bigger than Punjab but it is going into the pockets of Sindhi wadairas. It is an utter failure of Sindhi politicians. You should also teach the ethics to Peoples Party since the only development they made was in Karachi…………….. Lahore also existed at that time, remember?? Its the Punjab Province that signed the agreement, not Pakistan………….. Punjab does not bear the responsibility of building anything in Karachi….. Peace! If its Chinese investment how would they recover this huge investment or what financial return they expect. Secondly government cannot run this project by charging more then its operating cost, therefore if operating cost is not collected by commuters what heavy subsidy will they pay ? Third when government is so keen to privatize all national institutions, why this will not be run by private entity. @Yousuf: PPP ruled Pakistan and Sindh for five years and what do they have to show for it? Kindly complain to the likes of MQM. PPP for not building a metro train system in Karachi. MQM will never let PML-N do anything of substance in Karachi. Karachi:you vote for PPP and MQM , why expecting from Shahbaz Sharif to do sth for you…. Quetta: ask BNP and sardars to make this. PML-N is leaving no stone unturned to prove that the only city their government cares about is Lahore. This discriminatory behavior will have dire consequences. They are further dividing an already divided country. Although hats off to Shahbaz Sharif for his committment to his city however it Seems like everything revolves around Lahore not even Punjab, let alone other provinces. PMLN should rise above political strategies and once honestly focus on developing other provinces and cities where they do not have a vote bank, I can assure them it would change public opinion and they can become a truly national party like PPP was. and doesnt if make the slightest of sense that we have some kind of transport infrastructure even though its shabby but it still exists but we have a huge shortage of power and a figure of more than $1 billion can contribute to atleast a 660mw plant which should be our priority . I love Lahore. Having said that, I want to point out that the federal govt is supposed to sign an agreement with Japan for circular railway in Karachi but our govt is delaying for God knows what reason! This city needs buses and trains more than anyone! Can anyone hear me!!! I think this is an exemplary step for other cities to follow. This would benefit the ordinary people who cant use cars for transport. Since this is a Punjab provincial govt. project the question as to why doesn’t Karachi yet have a competitive mass transit system should be put across the PPP dominated provincial govt. of Sindh. Karachi contributes 93% taxation from Sindh region yet the PPP provincial govt. hasn’t given anything substantial to this city.What this city needs is a strong mayor. I have heard a lot about Chinese junk Locomotives. Abusing others is the trademark of PTI, they can only whine and not do anything, someone should tell them they have KPK with them, and after 18th amendment, its the provice that has to take initiatives, so live with the fact that, KPK and PTI is doing nothing, but to make headlines in newspapers, and making tsunami feeling ashamed of itself. Even though projects like overhead bridges, underpasses, ring road & metro bus, in Lahore, are indeed great for this city but our priorities are totally wrong. Things like rule of law, police, free & better health care, free & better education, clean water & sanitation etc need to be looked at first! & these things can be rectified within a year with far less money than which is being spent on these grand projects. I hope PMLN balances out development, human development should be the priority as nations are build on this basic building block, not on big roads or metros with uneducated people in a lawless city. Good luck. I dont get this logic of Karachites and Pakhtoons, u guys have your own provincial governament they can sign deals with other countries too like SS why dont they do it? so stop criticizing someone who is actually working and ask those you voted. Bombs, bullets and bulldozers for rest of the country. Al Hail King of Lahore. Mr. Nawaz Shareef is the PM of Democratic Republic of Lahore or of Pakistan??? Pls do some home work…development of Karachi was visible only during Gen M period, PPP as usual neglected it then & neglecting it today….only busy pocketing & looting money….this is what they can do best…. KCR project is in doldrums for a longtime due to the apathy of Economic council / finance ministers / bureaucrats etc; who have till today not accepted the financial aid / loans offered by JICA ( Japanese International Consultancy Agency )….for reasos best known to them. How about doing something for Karachi – from where 60% of the country’s tax revenues come from. Can you all please tell what is Mr. President doing with Punjab CM? and why Punjab CM is accompany PM on all his foreign trips. We are not criticising the Punjab Governemnt. It is the biasedness of your NS who always supports his brother in every thing. NS never takes other CM’s to foreign trips. Offcourse what do you expect…it is his brother we are talking about. A clear sign of conflict of interest. Being a karachite, I think we should first reflect on our situation, khi votes for MQM or PPP & just for the sake of an NIC, the major party of our city wants to shut down the megapolis for one full year & then we want someone to invest in our city? why would anybody in his right mind do tht? To the ppl of KPK, ure govt is working on a metro train system in Peshawar so think before critising this project, it will come back to haunt u.
anf finally well done punjab, u hv propelled lahore ahead of khi in the past 10years, its a bitter sweet moment for karachites. what you vote you get. Dear Yousuf, Is it the initiative of Punjab government for that you need to address Sind CM, who should be proactive in building infra of Karachi, I’ll be the biggest supporter for the betterment of Karachi, the biggest and most important city of Pakistan, city of Quid and city of Lights but for the CM Punjab is not responsible but CM Sind who did nothing for the betterment of the city in last 10 years other then keeping the post for long time now. 100% agreed. look at the conditions of our roads. Korangi bridge is in shambles and can collapse any day. Look at the road in front of IBA City Campus, the list goes on and on. Only those roads are repaired on which there is a VIP movement. Sindh Govt. is killing the duck which is laying the golden egg for it. It will further widen the sense of negligence the rest of Pakistan is facing excluding lahore in particular and punjab in general. No we do not need division of province, division never brings the prosperity but equality in distribution of money and resources. Peshwar will have the best mass transit system in the country as per international standard but it will take time. Construction of roads and underpasses is not fedral governaments resonsibility. Karachi was better off under Mostafa Kamal because he worked for his city now please dont whine if SS is working for Punjab. Karachi truly lack infra and mass transit like system i guess only because of bhatta mafias and strong anti national forces working there. They do not want stability there and without stability and security how can they invest such big projects without have proper long term peace initiatives byb all parties who have vote bank there.First we need to clean karachi and then build it, Karachi is the most beautiful and most important city of the country. I request PML n government to give Karachi that project along side Lahore at least the feasibility should start earliest and implement that in next 5 year. We can blame Punjab for the lack of train system in Karachi by ALL MEANS. Now read this: Karachi Circular Railways Project has completed all stages before it can start renovating and building. IT IS THE GOVERNMENT OF PUNJAB that objected and stopped the Federal Government from putting the final signature on it, hence preventing it from starting. Their reason for objection was that there are other projects that should take priority: According to them, a metro train project in Karachi deserves no importance. In Lahore, there is no hurdle because Shahbaz Sharif’s brother heads the Federal government. Pakistan of course, but you need to see this is not a fed government but provincial government initiative. Karachi just need proper 10 years of secuirty stability and development and it will easily beat Lahore in it’s looks, cleanliness, infra, and mass transit as well. 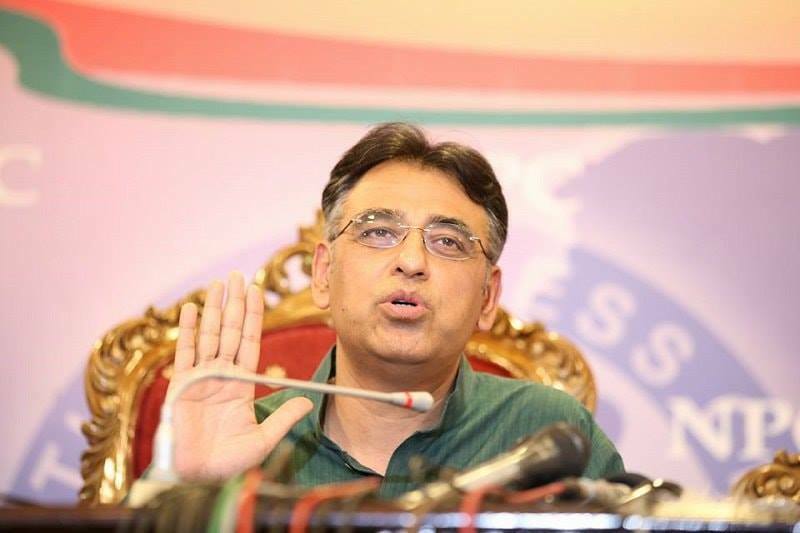 @Yousuf: Yes I agree with you completely, but what has happened to the Government of Sindh. as far as Punjab is concerned, we have a hyper active CM who is constantly on the go, getting things done, where as the CMs of other provinces seem to be in a slumber. This is a provincial initiative …no one is stopping other CMs from doing the same. Its called political autonomy ! president smiles and says “see how Chinese look”. Being a Karachite I am sick of hearing that Karachi generates 60% of revenue for Pakistan. I request the people of Karachi and Sindh to please get educated and stop spreading this falsehood. 53.8% revenue is collected not generated in Karachi. This revenue (stamps, taxes etc.) is collected on behalf of the federal institutions based in Karachi. Please read the FBR reports in detail so that u understand that the revenue collected is from imports and exports of Punjab (majority) related goods, machinery etc and KPK. MQM and PPP need to get their act together for development of Sindh. Stop blaming Punjab Govt and SS. This is an excellent initiative by Punjab Govt which needs to be replicated in Sindh and KPK. After this train every one will say again…..
Good shot shahbaz sharif. We are proud of you. People who are praising this project may review their own decision making process. We first deposit our utility bills so that we make sure we use electricity, gas, telephone, water and sanitation facilities. After that we pay school/college, tuition fee and then comes our health. I ask you, if your UPS is out of order and your fee is due and you are ill and you need to see a doctor, you will do all these things or you will buy a new vehicle for transport? Transport is also necessary but on your priority list it may come down the order not on the top. Is it a sane move to sacrifice your necessities just to avail one luxury? As a Lahorite, I am pleased with such developments. finally some sense after duping people with sham metro bus that was initially was a Green Line of Lahore transit plans. This orange line, blue and purple lines are part of this master plan designed by previous punjab governments. But why over developing Lahore? when Karachi, Faisalabad, Quetta and other big cities need it dearly! Why China and Turkey only? only because only these two countries pay kick backs now. develop parts of country that are far behind in development, bring them at par with developed parts, it will reduce pressure on big cities as people will less likely to migrate! put money on health and education! Karachi is bigger than Lahore and also has more money but it does not have Mian Shehbaz Sharif. Elect somebody like and start fulfilling your dreams. 18th amendment look it up people , it kinda says this ‘every province for itself’ so quit crying. I agree with u, Karachi shouldve been at par with Dubai, it can easily be the best city even now, but our local politicians need to change their thinking, just lip service for karachi isnt worth it. Shahbaz sharif ordered our president to go to China. 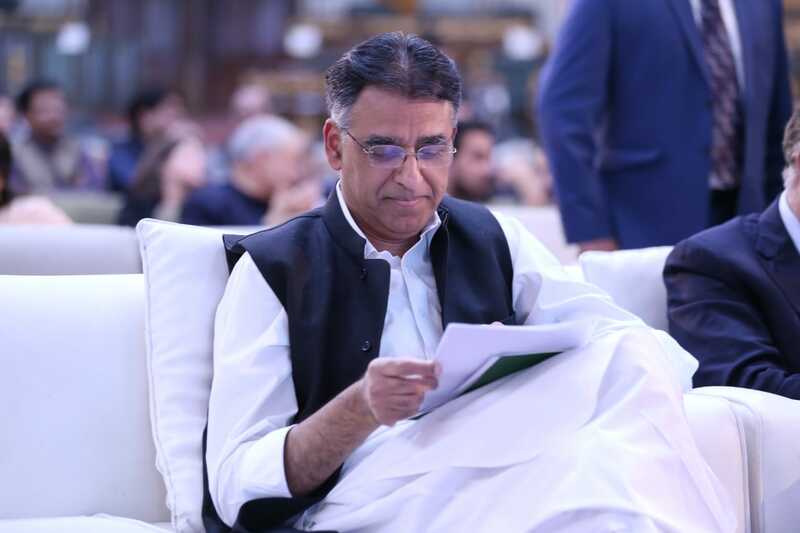 @Yousuf: After 18th amendment provinces get all the budget. You should ask your own CM for this however out of courtesy federal government is trying its best to convince the Japanese firms to start the project as soon as possible. Japanese firm pulled out of the project in last government due to their incompetence. All the extortion, ransom and illegal money in Karachi utilised by political parties should be put to use instead for such development purpose too. $1 billion is nothing for Karachi. The flow of black money in Karachi has a far greater ratio than just $1 billion per annum. karachi need security first then trains or buses…. Another mega project in this poor country. By the way, it’s provincial or federal project ? Good for Lahore. Would be good to see a Metro Bus Service in other cities of Punjab as well though. And to all those complaining about Karachi being neglected, please go and complain to Mr Qaim Ali Shah and the PPP. The rest of Pakistan, as much as you guys, want to see Karachi develop into an international city. @Ch. Allah Daad: What about Nwaz who is prime minister of Pakistan, isn’t it his duty to start a project like this in the most biggest city of Pakistan? No doubt a wonderful project of its kind in Pakistan. Critics should need not make criticism for the sake of criticism. It will be an asset and will be replicated n other cities like MBS in Islamabad/Rawalpindi. Why people keep saying Lahore is all of Punjab ? Its Pakistan’s second largest city and mass transit systems are built in mega cities. If they are not being built in Karachi and Peshawar its the fault of the respective provincial governments. Why is the President of Pakistan signing an agreement on behalf of Punjab? Rubbish comment. Get your facts straight. Karachi’s economy represents the biggest share in the national GDP. Karachi’s contribution to the national GDP (PPP) is somewhere around $78 billion followed by Lahore and Faisalabad which report a GDP (PPP) of $40 billion and $14 billion, respectively. Where is it mentioned that it’s a provincial government project? And if so, why is the president of Pakistan, rather than CM Punjab present in the photograph? The fact is that PMLN is using the money of taxpayers of entire Pakistan and putting it up in Lahore. 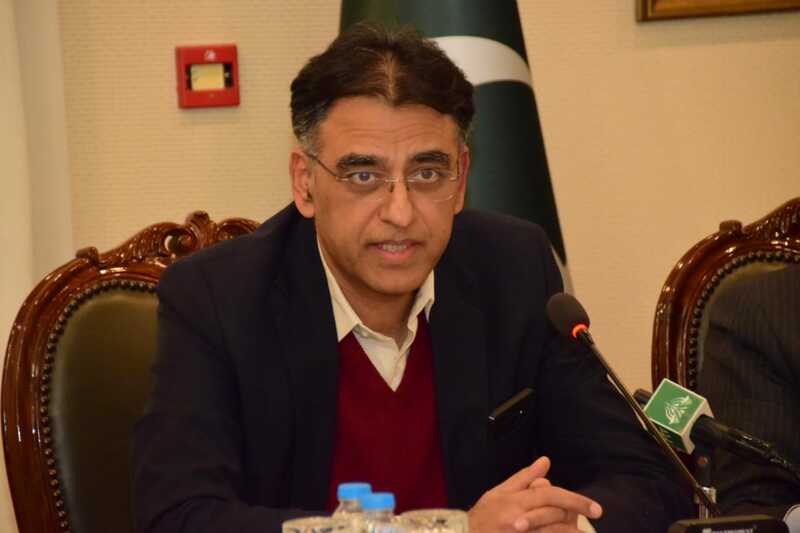 Taking a loan fro IMF to build a $1.2 billion train. That is madness. Where is the vision??? Where does it say it is a provincial initiative? People on this comment board are lying through their teeth. The initiative is signed by the President of Pakistan, not the CM of Punjab. This makes it a de facto federal initiative. Lahore’s population is the reason that it gets more attention than other cities. If you are honest, then you would see many projects are started in other cities too. Even, if just Lahore is being promoted, who is stopping PPPP and PTI to develop Karachi and Peshawar or any other city. If only Lahore is promoted unfairly, which is actually not the case,the money is still not being looted like other provinces. Please remember Pakistan has number of cities and Karachi is the biggest one, and according to statistical data the biggest city of the country, and I believe after Metro Bus in Lahore, Karachi deserves this Metro Train More. I hope you should think that. Pakistan is made up four provinces not just Lahore. have metro busses, who cares about free education, healthcare & ration cards for the poor these days? why give such services which are not visible to our naive public. jiye Nawaz Shairff & his family, we will serve you & then later your children. @PakArmySoldier: Tax collection at Karachi does not mean goods were made or destined for Karachi. When Gwader Port is busy will you say that Baluchistan is responsible for sports goods made in Sialkot? The Punjab provincial government has had a number of projects planned for many years now including this train project. The difference between Punjab and other provinces is that Punjab has a CM who gets things done and takes real interest in the upkeep of the province. I have seen Rawalpindi, Sialkot, Faisalabad and Lahore improve over the last few years under Shahbaz Sharif. Nothing is stopping the other provinces from developing but their own CMs who do nothing. Face it, Karachi’s main problem is violence and Bhatta which is why security there is the main issue. Punjab is relatively safe a developing because of its leadership. At least in Punjab, money is spent on helping people and creating infrastructure. Why do people get upset when they just have to do the same. Have forgotten, the current government has been in power hardly a year. 5 years of Zardari and almost a decade under Musharraf couldn’t make anything in Pakistan. Great news! This is what Pakistan needs. Eventually the infrastructure development will trickle down to other cities as well. Brilliant initiative. The people in Karachi need to get their act together. No metro no motorway. How long will they last like this? This is absolutely ridiculous!! And if this dare gets build anywhere near or around or ON the Canal – I would be willing to go out of my way to have them stop this madness!! Are we only a redundant commuting nation where everyone wants to rush somewhere and have the same miserable living conditions north east south west – Quibble and fret about the same increasingly agonizing social, economic, energy and legal crises !! Illiteracy has hit the moon in this country and hygiene is like that of the foul insides of a rotting corpse !! Poverty has hit the seventh sky and beyond !! And all that we can think of or sign ‘deals of’ or spend state’s ‘money on’ are these shamelessly and mindlessly vomited roads and bridges and the holy metro!!! Wake up to the real challenges at hand, please!! Or else you wouldn’t have a community left.. only lifeless barren roads and concrete bridges travelling towards nothingness with unschool-ed kids with maggots in their brains and opium pipes glued to their lips!!! Congratulations to the Pakistanis. Better trains in our cities and not bigger bums. Hopefully NaMo and NaSh can start a virtuous development race rather than a vicious arms race. Because it is Punjab government’s project/agreement with the CENTRAL government of China, so as a courtesy both sides have the presidents present as well. Have you bothered to do ANY research on this deal AT ALL, or just GUESSING entire situation by the picture in the article??? Malveros comments are ACCURATE. He disputed two facts, one was the exact percentage. 53.8 instead of 60 (which still puts Karachi as the largest revenue COLLECTOR), so he never disputed Karachi as the largest COLLECTOR. Secondly he explained a difference between revenue COLLECTION and GENERATION to put things in prospective. I respect our soldiers for doing their assigned and expected duty. However being a soldier does not automatically mean you are great with economics, numbers or common sense. PS I am not a supporter of PML N or their previous record of running bus service. Their previous bus project is sucking in a lot of public money. I am aware that most of the metro systems in the world either run non profit (break even) or loose money, and the gap is filled in by tax money, but in absence of a proper tax base, a highly subsidised system is not a wise decision. @Salman For any Major project where one country invest in another one then it requires the Sovereign Guarantee. It is where Federal Government will comes into play. Infact for Every Major project in Pakistan Federal government gives the guarantee and it is a Standard Procedure. For Gwadar, Karachi Nuclear plant, Dam upraising and AJK power projects have done that. In the case of Lahore metro as well Federal Government is not investing a Penny rather it is a Built-Operate and Transfer ( BOT ) basis project where whole financing is being provided by China. A Sovereign country cannot invest without the approval of another sovereign territory in their peculiar land. For any approval we need Federal government intervention but it does not require any investment from their side. Good to see pak developing. Cheers from India..
You can see videos of metro rail in India to get the basic idea about what it is.. Your comment is a complete non sequitur. I have no idea what you’re talking about. Do you understand what Gross Domestic Product (GDP) is? Please educate yourself in Econ 101. @Kahna Kacha: Complete non sequitur and ad hominem. Since you challenged my authority in economics, let me mention that I am a MA in economics from the London School of Economics. I graduated top 5% of my class. If you paid attention in your Econ 101 class you would have realized that doing cross-comparisons based on revenue collection is completely disingenuous. Makes no sense. Please stay on topic. Then you ask them not to build a Libration Army. Amazingly blunder thinking of our ruler. I am with serious trouble to educate my children with limited resources and there is no standard school available all over Lahore operating by the Government. I am with serious trouble in paying my utility bills even I never have AC installed in my home. I am with serious trouble to stay in my house with my children and spouse or sleep during load shedding of electricity because I have no UPS backup and the weather going hot. I am with serious trouble to collect clean drinking water because I have no resources to purchase mineral water from any recognized company. On the other hand I have owned a bike to attend office and back home. The local train is totally irrelevant for me. I never traveled on Metro Bus yet because I don’t need to travel on it. I also unable to understand why SS or NS only emphasize on transportation. Has there no other area which need your attention? Are their only mission is to off load the traffic from road of Lahore and there is no other problem except traffic problem? I am becoming convince that these two brothers are unfit to serve they only rule. There problem and living environment is totally different from a common man living environment. They cannot even understand the seriousness of problems faced by a middle man and blind to see or smell these issues faced by a middle or poor men. It is just like to offer Shoes to a thirsty person. Totally non visionary leadership ruling with unjust and without sympathy. buddies my english is not gud enough like you guys commenting and blaming here.but i want to tell you stop blaming each other for this project.no one can blame punjab goverment for starting this mega project in lahore or othe mega projects like ravi river front zone.this shows the punjab goverment sincerity with the people of punjab.and othe thing i want to tell other punjabi zones peoples. please dont worry for you other punjab cities,soon you people will have same kind of projects in ur cities as well.shahbaz shareef is not eating your tax money.this is the money of peoples and spending this money for the benefits of all peoples.we love punjab and whole pakistan. for othe provinces.you peoples have to grab the corlers of your own polticians.because you have vote them.in sindh karachi is the highest money making mechine.where is karachi and whole sindh money is going? get sincere and serious with this.ask MQM and PPP for this.its going to b ages both parties have proved failures.but you guys are still votting them.for what? in khaber pukhtoon khawa PTI leader ship they love lahore more then peshawar.PTi leader ship always running for to conquer the lahore and punjab..they dont have any interest in theri own province.i have soft heart for the peoples of khyber pukhtun peoples.but they are paying what they have vote for.their leader ship just know how to play bat and with balls.but let me tell you one thing,real life is not a ground of failure cricket game..
and gilgit biltistan peoples and bolochistan peoples they need to build their self more.they need to kill racism with in their self to get success in their province. we love pakistan.pakistan is our home.please it is us,we have to chose right peoples for the betterment of our country.stop being racist. People who have shown thumbs down are so lame and dumb. Besides Karachi, Lahore is the second largest city in terms of Population. and all the people shifting from karachi making more problems, one of them is traffic jams. And I think this is to counter these problems. What are the rulers of Sindh or other 3 provinces are doing? Beside all these comments, being lahorite I love Karachi, and feelings are always there when karachi becomes unrest. What we can do as a nations is stop Criticising the good work. Thanks all for understanging and no offense please. Hmmm, strong mayor means strong BHATTA! I am happy to see this news. Two or three such Lahore specific projects are enough to ensure the division of The Punjab. It’s only after this division that Pakistan will progress leaps and bounds. Pakistan will become balanced and Lahore will not be able to gobble up shares of South Punjab. I think Pakistan is doing what most of the rulers did during the time of East India Company. These rulers handed over the security and administration, like tax collection etc of the state to “The Company Bahadur” in return of a fixed amount and settled to enjoy life. We know what happened there after. Any country that hands over its ports, transports and roads etc. for commissioning and operating is surrendering its sovereignty in a plate. There are no friends and enemies in the global politics and true nations have to guard, develop and earn their own place by working their own ways. If this project initiated in Karachi first DHA filed a suit against it and the court grant stay but DHA will never dare to file suit against this project in Lahore on any ground. @True Karachiwala: Not only Lahore but all of the Punjab is developing. When the Punjab government is making progress is uplifting its province, why should it bother anyone? Sour grapes and hating only hurts the haters. Punjab will just keep developing while others keep voting in bad representatives, people in Punjab will keep voting in those who do stuff! Forget whether Karachi deserves it or not. What about the infrastructure of Balochistan ? Is it still in pakistan ? Am I the only one assuming that it would run on electricity? Please don’t insult culturally rich Lahore by comparing it with the soulless, shiny shopping mall that’s Dubai. You still do not make any sense, (Economic or Common). Basis of any advance degree is research and analysis. Which you failed to do, you can claim to hold any degree you want, here at this forum what you say defines you. And the evidence here at this forum, tells us that you did not do any research on the nature of the deal. that’s why you chose to ignore my comment on the picture and nature of the deal. ET published partial picture. In full picture (available at other news sites) It is CM of Punjab actually signing the document with a Chinese official, and the two presidents are watching. However regardless who is present in the picture, fact is, that it is an initiative by the provincial government. I still know more about research and economics than you do. I guarantee that. Its not about 18th ammendment, pti or PM-LN……..its about the national interest. My question to a few who discussed earlier about Punjab setting up the metro train project. 1- Why not invest this blood money in health education and sports. 2- Are people having full facilities like water, security, justice. 3- What would be the next project in Lahore, A subway system???? 5- For PM-LN fans: people with some sense of priority will surely abuse the kind of initiatives punjab govt is taking.Whether its pti followers or any other. 6- Why invest in new projects, why not improve the already developed infrastructure. 7- Faislabad is generating more revenue than any other city of Punjab, than why only Lahore. 8- Sh. Rasheed took the initiative to run a train between RWP/ISB. If i am not wrong ticket was just Rs.20. Why not extend the railway track into islamabad instead of metro bus?? Anyways, many wont read, those who read will not agree. and those who agree can just sit down and cry on their fate. Where are the going to get the large amount of electricity needed to run this? Not only Lahore but all of the Punjab is developing. When the Punjab government is making progress is uplifting its province, why should it bother anyone? I think first of all you should not call seraikis as Punjabis, because seraiki is quite different culture from that of central Punjab. Hence, you should consider Punjab having a population of around 60 million. the whole Punjab is progressing ? I thinkhere you look more like a spokesperson of Punjab Govt. Grapes are not sour. Reality is hard to face, if you want to check it out, roam around except in central Punjab and hear what “Khalq e Khuda ” has to say. This is a farce as this is biggest money siphoning project.. I am a common Pakistani, I dont know whats 18th amendment or whatever. I can just see Pakistan President standing with a Chinese signing metro train agreement for Lahore and not for Karachi. Metro Bus project was a wastage of money and efforts in the age where Metro Train is common in big cities. Mr Shahbaz Shariff covered this mistake by detaching all junglas from Lahore and shift it to Rawalpindi-Islamabad. CM SS & our President, both were there in China for the project….President signed the sovereign guarantee for the project as required by the Chinese and then CM SS signed the project protocol…..it was an not co-incident visits. It was all planned…..the same sovereign guarantee is requested by JICA for KCR, without which JICA cannot proceed…..why in this case the Federal Govt of PML N is not prepared to give, is a big ? mark…. Please stick to Karachi where your so-called expertise lies. U have zero knowledge about the difference between Seraikis and Punjabis. Seraiki is a language dialect of Punjabi and nothing else. By promoting this hatred do not expect to get a Karachi province. Stick to the topic. If u need metro train in Karachi then put pressure on your Sindh Govt. SS has already offered himself and his team but he has clearly said that the green light has to be given first from Sindh Govt. Either u are fake a soldier or a fake MA in Economics from London School Of Economics who graduated in the last 1% of your class since u still don’t understand the difference between Revenue Collection and Revenue Generation. Karachi being a seaport is responsible for tax collection and please remember that Karachi used to be federal territory before when it was the Capital of Pakistan. @Malveros: U have zero knowledge about the difference between Seraikis and Punjabis. Seraiki is a language dialect of Punjabi and nothing else. By promoting this hatred do not expect to get a Karachi province. OK I have zero knowledge, but your own elected Punjab assembly under your own SS had approved a resolution for the creation of Southern Punjab (I can’t remember exact name) province. You better add few hundred lines more to your lecture and send it to SS and MPs admonishing them on their solemn pledge to create seraiki province, thus sowing the seeds of hatred. It is definitely not a provincial project.Clearly our president is seen standing next to chinese premiere. That resolution was nothing but a response to neutralize PPP’s election gimmicks of Seraiki Sooba. I would welcome a visit from you to Multan to see how much money did Yousef Raza Gillani spent in Southern Punjab while PPP was ruling. Other than using illegal wealth in building his house and being involved in so many scandals along with his sons what prosperity did he bring there. More Provinces do not make anything better other than bringing more people in the assemblies which translates into more expenses. Rather local body elections are the need of the time. I would like China to invest in Karachi (my city) but they want law and order improved first before they will invest in any big project. 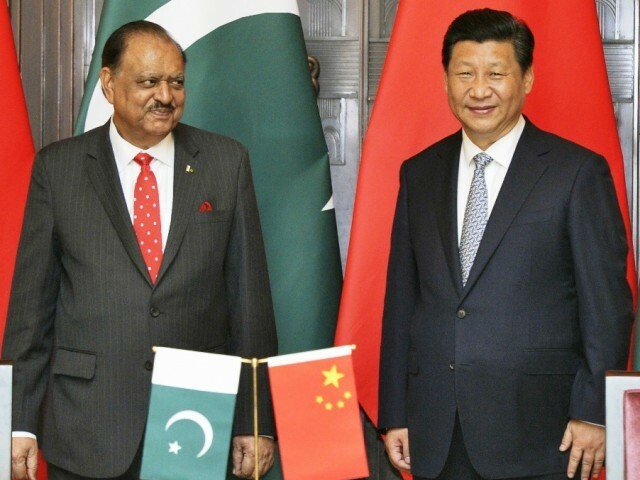 Do u not see both the President of China and Pakistan present. The money is being spent by the chinese and the land being provided by Provincial Govt (Punjab). It is going to be operated as a BOT (Build, Operate, Transfer) project. So is it a federal project ? Really ? You summed up the whole style of politics by The Sharifs. 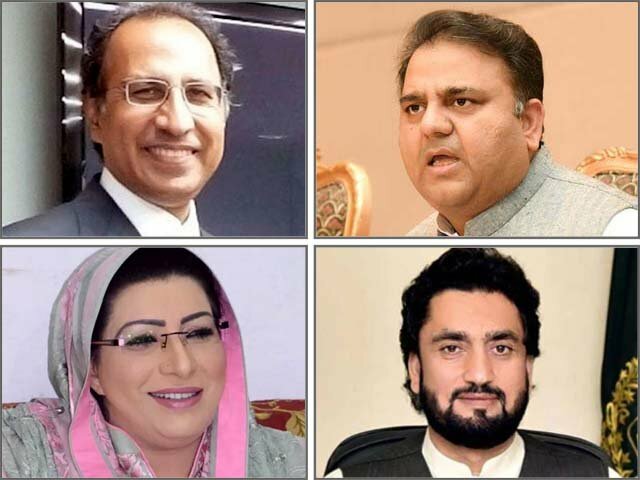 Resolution-Resolution game (a hypocrisy), cosmetic works like Danish School, Laptop throw-aways, Youth Festivals etc.But please be honest, have the Sharifs in their 30 years rule over Punjab changed basic governance sytem, Thana Culture etc.? Secondly I do not need to confirm your statement by visiting Multan (I once went there. It’s really a great city) because millions seraiki work here in Karachi. Their presence here and absence from their homes speaks volumes about the progress in Seraiki areas. If instead of Pakistan, Capital or Punjab is only cared, People will Migrate from different Provinces and will concentrate in Punjab and Capital and atlas all will have pain. So every Pakistani should be equal treated and funds should be allocated on Population base. And migration from different province should not be allowed or limited.